LAS VEGAS, Feb. 26, 2018 /PRNewswire/ -- Renowned Hong Kong-based Lai Sun Group officially makes its Western Hemisphere debut with China Tang, now open at MGM Grand in Las Vegas. China Tang crafts a unique dining experience that revives the glory of the Tang Dynasty, regarded as China's golden age of cosmopolitan culture and cuisine. "It is a privilege to welcome the great culinary minds of China Tang to MGM Grand," said MGM Grand President & COO Scott Sibella. "We are excited and proud to introduce guests to this renowned concept that's been exclusive to the other side of the world – until now." Vice President of Lai Sun Group, Mr. Lawrence Lau said, "I'm delighted China Tang is open in such a beautiful building and location. Las Vegas is known as a hub of culinary innovation and entertainment. We know guests are going to love the authentic cuisine that China Tang presents." 點心 – Dim Sum: Available for lunch and dinner, guests can indulge in decadent dumplings like the China Tang Steamed Pork "Xiao Long Bao," a soup dumpling filled with broth and pork, and served with a tangy black vinegar sauce. 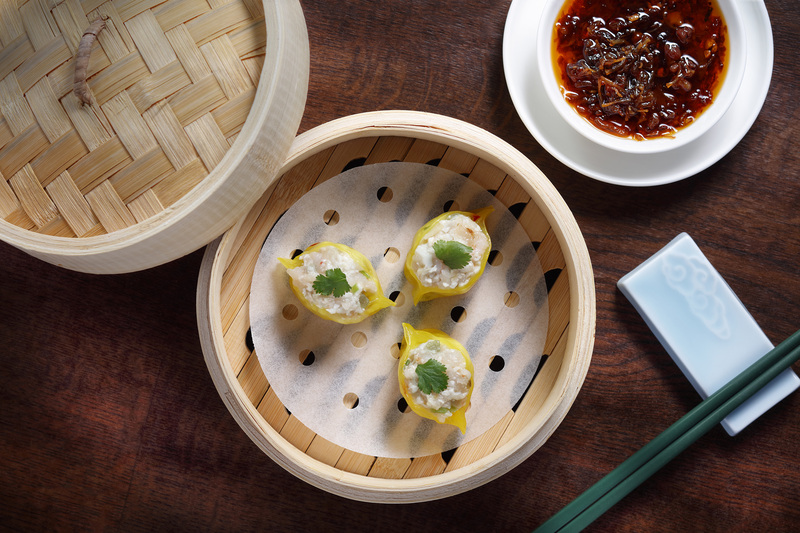 Another favorite is the Steamed Crab Meat Dumplings, which are stuffed with delectable crab meat and steamed until perfectly delicate and beautiful. In addition to a traditional Chinese tea selection, China Tang delivers a Las Vegas touch to its dim sum service with an option of sommelier-selected wine pairings for every dumpling delicacy. 肉 – Meat: Premium beef is no longer reserved for fine-dining steakhouses as China Tang offers guests a Stewed Angus Beef Short Rib braised with onion, carrot, leeks, garlic and celery. China Tang's Signature Barbecue Pork is a sweet-and-smoky treat of pork collar marinated with ginger, garlic, coriander and homemade barbecue seasoning. 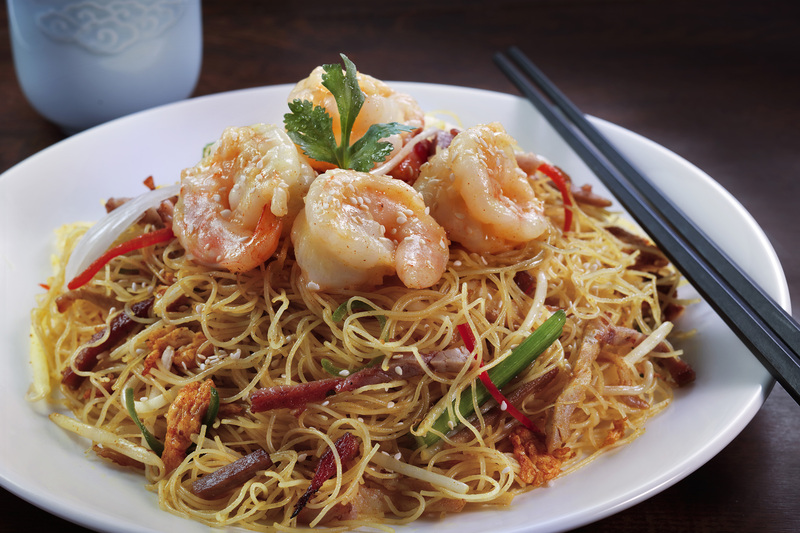 米飯和麵條 – Rice & Noodles: Noodle lovers will rejoice in China Tang's bevy of freshly-made noodle dishes. The Wok-Fried Rice Noodles with Sliced Beef and X.O. Chili Sauce packs a spicy punch and a delectable mix of flavors. Additionally, China Tang elevates rice dishes to another realm with creations such as Fried Rice with Braised Wagyu that prepares opulent beef with black truffle and wild mushrooms into a masterful melding of flavors served in a clay pot. 海鮮 – Seafood: China Tang's seafood has the unique flexibility to range from approachable favorites like the Kung Pao Shrimp, to exotic masterpieces originals such as the Live Lobster that allows guests to customize the succulent dish with seven types of Cantonese preparations. The Braised Chilean Sea Bass and Roasted Pork Belly are stir-fried together and stew in double-boiled meat broth with Shaoxing wine, dark soy sauce, oyster sauce, ginger, scallions and fried garlic. 鴉片戰爭前 – Pre-Opium War Era: At a time when outside cultural influence in China was minimal, this section of China Tang's cocktail menu honors this period with high-end spirits and traditional presentations that were popular in the mid-19th century. 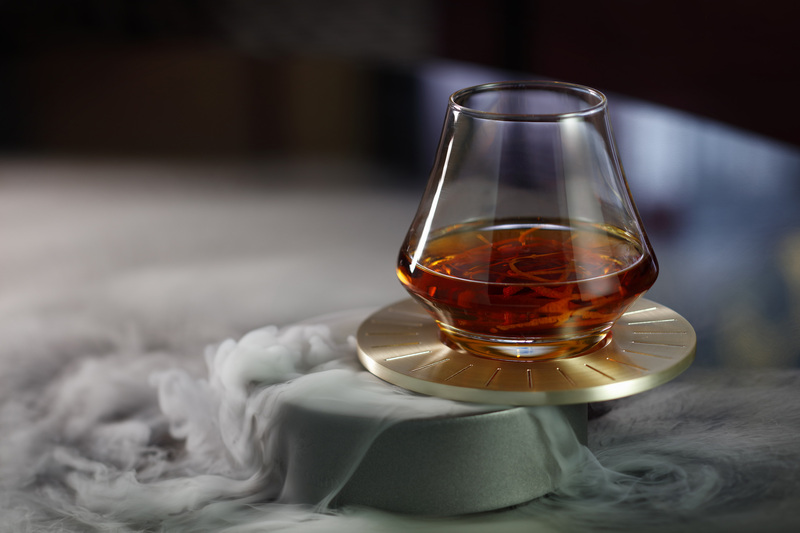 The China Tang signature is the Mr. Tang served atop a steaming jewel box, and mixes Remy Martin X.O. with Cointreau Noi, Luxardo Maraschino and Frey Absinthe. Madam Shin's flavors evolve while the drink is enjoyed due to a dollop of house-made Asian pear sorbet that floats atop and gradually mixes with the cocktail built from Veuve Clicquot Yellow Label, Kai Lychee Vodka, Domaine De Canton Ginger Liqueur, and Italicus Rosolio Di Bergamotto Liqueur. 殖民 – Colonial Era: Colonial Era China had significant outside influences. The drinks on this section of China Tang's menu mirror this idea with non-conventional Western techniques and presentations to uniquely meld modern-day spirits with Chinese flavors and culture. The Yu Gardens is an eastern spin on the Moscow Mule featuring a delightfully sweet and smooth mixture of Redemption Rye Whiskey, Crown Royal Regal Apple Whiskey, Ginger Ale, and Chrysanthemum Tea. The Kowloon achieves the flavors of an Old Fashioned with ingredients you wouldn't typically find in the classic cocktail, by using Applewood chips to smoke a concoction of Roca Patron Resposado Tequila, OM Dark Chocolate & Sea Salt Liqueur, chocolate bitters, hoisen, and rhubarb absinthe. 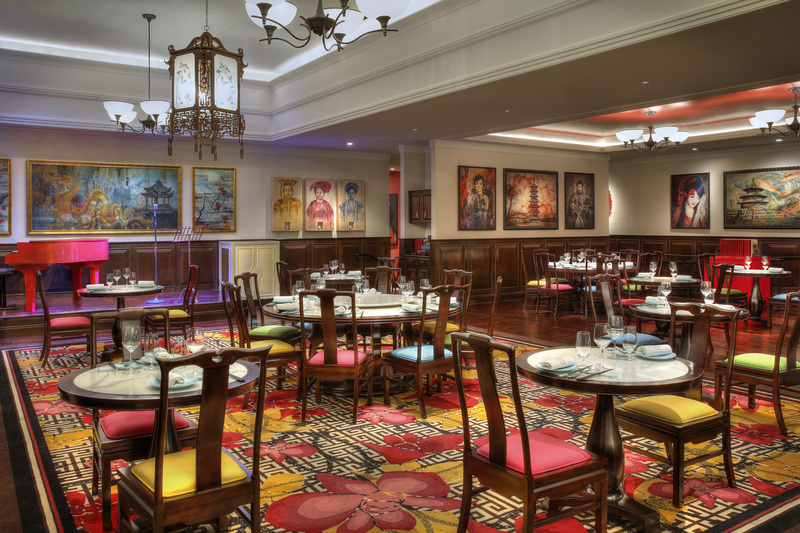 China Tang celebrates all elements of the Tang Dynasty's cosmopolitan culture with nightly entertainment and a globally curated art collection. Evoking 1930s Shanghai glamour, China Tang draws inspiration from Art Deco nostalgia with artwork from around the world. 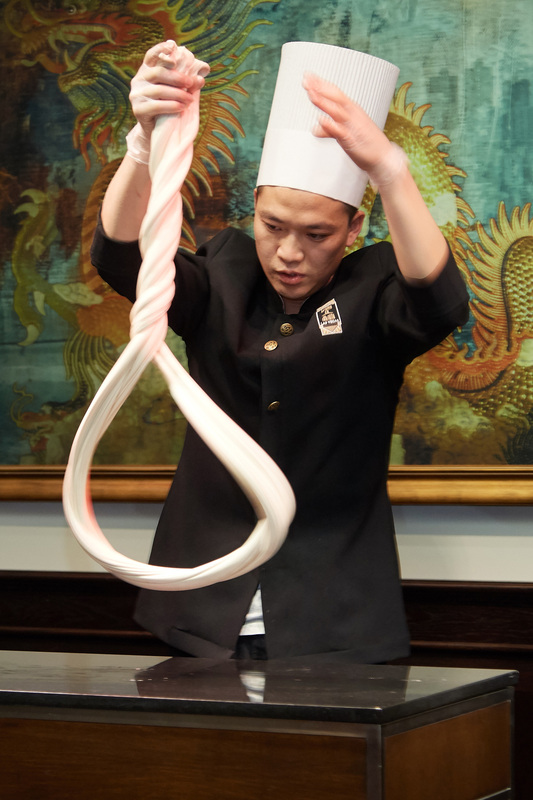 Each evening, the dining room comes alive with Chinese musical entertainment and noodle pulling performance. MGM Grand Hotel & Casino is "The Entertainment Authority," creating the ultimate Las Vegas experience. A variety of accommodations serve every need while guests discover signature dining by celebrity chefs including Tom Colicchio's Craftsteak, Michael Mina's PUB 1842, Wolfgang Puck's Bar & Grill, Michelin three star restaurant Joël Robuchon and Morimoto Las Vegas. The resort offers a wide-range of world-class entertainment at the MGM Grand Garden Arena; the epic KÀ by Cirque du Soleil; world-famous dance crew Jabbawockeez; master illusionist David Copperfield; Topgolf Las Vegas; Brad Garrett's Comedy Club; and Hakkasan Las Vegas in addition to a pampering spa and salon and an elaborate 380,000-square-foot conference center. MGM Grand is a wholly owned subsidiary of MGM Resorts International (NYSE: MGM). For more information and reservations, visit mgmgrand.com, call toll free at (877) 880-0880 or find us on Facebook and Twitter or follow our blog. Lai Sun Dining, a subsidiary of the Lai Sun Group, is a high-end hospitality company that owns, develops, manages and operates a portfolio of luxury restaurants. Since introducing its first Chinese restaurant Island Tang in the heart of the financial hub in Central, Hong Kong in 2008, the company is now operating near 20 restaurants world-wide, from Hong Kong, Macau, Mainland China to London, restaurants include 8 ½ Otto e Mezzo BOMBANA Hong Kong, 8 ½ Otto e Mezzo BOMBANA Shanghai, 8 ½ Otto e Mezzo BOMBANA Macau, Opera BOMBANA in Beijing, CIAK- In The Kitchen, CIAK- All Day Italian, Beefbar, Operetta Hong Kong, Takumi by Daisuke Mori, Kaiseki Den by Saotome, Sushi Masataka, China Tang Landmark, China Tang Harbour City, Howard's Gourmet, Chiu Tang and Tang². 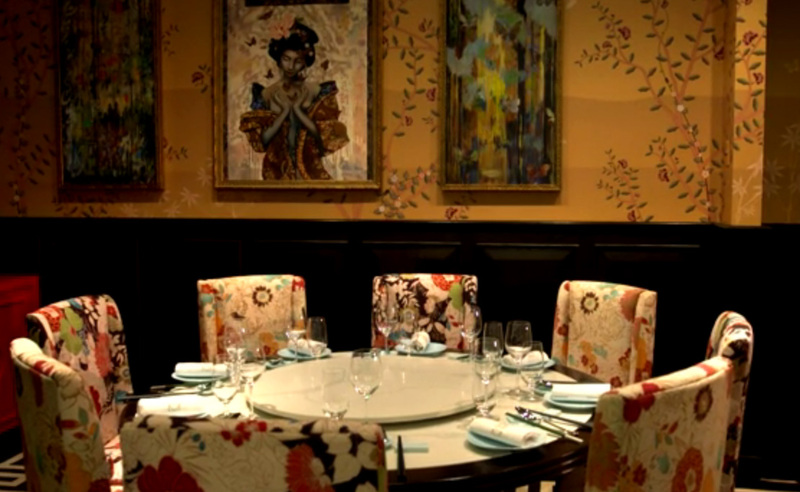 The Group has received 10 Michelin stars throughout its establishments.